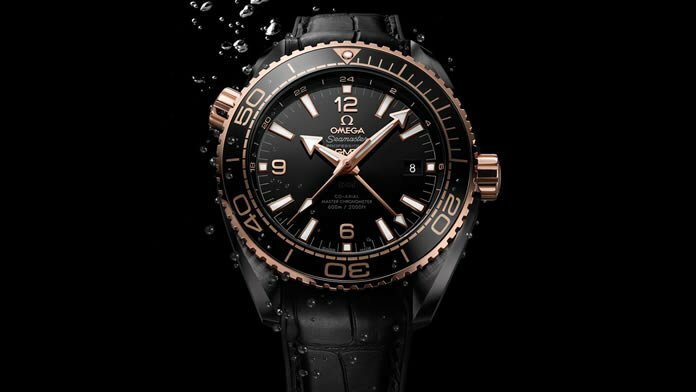 Omega combines the Dark Side of the Moon GMT with a diving watch to create the new Planet Ocean Deep Black Collection. The stand alone collection features 4 ceramic state of the art models for deep sea exploration including the Deep Black Ceramic. 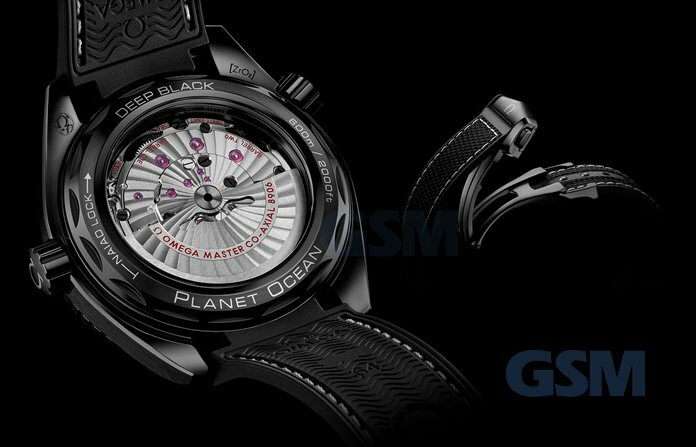 The Co-Axial Master Chronometer GMT diving watch features a solid single block of black ceramic to form the case body. Available in glossy or matt finish. 18k Sedna gold or 18k white gold hands and indexes with white Super-Luminva coating emits green and blue colors. The Seamaster Deep Black features a GMT dial to keep you properly oriented no matter your diving location and is water resistant to 600m. Expanding helium can potentially damage the crystal face or caseback. The HE Escape Valve allows professional divers to exhaust any helium molecules that may form when inside a diving bell. The new rubber strap is made of ceramised titanium while the clasp itself is made of ceramic and is available in two types of finishing. As a result the clasp is elegant, looks great but most importantly secures the Deep Black to your wrist with confidence. The Planet Ocean Deep Black watches feature the Omega Master Chronometer calibre 8906 for reliable and accurate precision timekeeping. 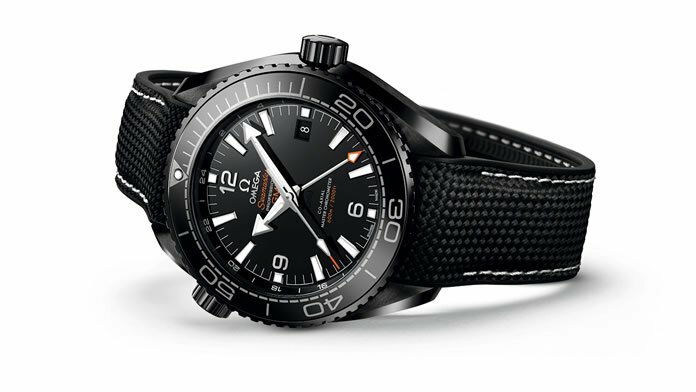 The Omega Seamaster Deep Black is able to withstand exposure of up to 15,000 gauss magnetic fields. Each timepiece is individually certified by METAS the Swiss Federal Institute of Metrology. The new standard of certification elevates testing for precision, replicates real-life wear, conditions and demonstrate water and magnetic field resistance. The Omega Master Chronometer watch comes with certified test results of the 8 measurements. You can see specific information of your actual timepiece’s performance under the new METAS testing standard.